The constant requests for its audience to “look away”—or stream a different series altogether—as they narrate the miserable lives of the Baudelaire orphans simply fall on deaf ears, and the new release’s eight episodes are consumed on a whim. One would have to survive the drastically dragging theatrics of most of the characters in the adaptation of the first book, “The Bad Beginning,” before one gets hooked to the series. The acting at the start presented itself more apt for a live theatrical performance than one on streamed media. Its first two episodes clearly show that a screenplay that stays loyal to the book page by page isn’t always the best idea. Maintaining a melancholic tone and much of the conversational lines from the books, “Unfortunate Events” paled in emotion and unraveled an unnatural vibe to the world forged by Daniel Handler’s words, at least in the beginning. 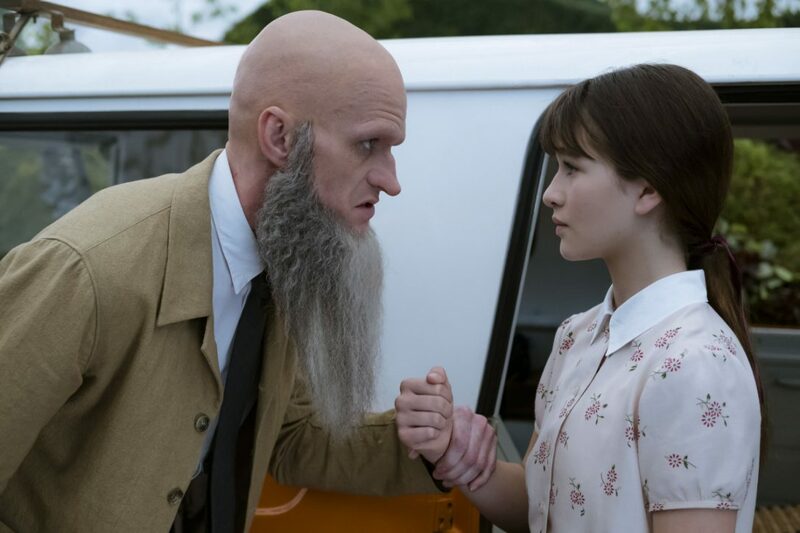 Consequently, the pilot episodes failed to show the warmth and comfort that Justice Strauss offered, as well as the thrill of Klaus (Louis Hynes) exposing Count Olaf’s (Neil Patrick Harris) scheme to marry his sister Violet (Malina Weissman) to get the Baudelaire fortune. But if this was how Count Olaf’s theatrical group was to be established as the untalented guild of actors as they were perpetually described in the books, it has achieved its purpose. The rest of the episodes featuring the books “The Reptile Room,” “The Wide Window” and “The Miserable Mill” pick up the pace, allowing the show to breathe against constraints of literature it forced itself to follow and adapt naturally to the medium of cinematic television. The books would eventually translate smoother from our literary imaginations to the on-screen panels for the rest of the series. The presence of Uncle Monty (Aasif Mandvi) in the succeeding episodes provides relief from the monotonous acting and introduces a character that viewers could finally empathize with and root for (apologies, Justice Strauss). So it was unfortunate that Uncle Monty died before their expedition to Peru (Disclaimer: This was a spoiler revealed first by Lemony Snicket and not Super), an incident that the orphans suspect to be a murderous crime they must solve to get away from Count Olaf’s clutches once again. “The Reptile Room” builds on the idea of the revelation of the existence of the secret organization VFD (Volunteer Fire Department) early in the narrative, and weaves in even the involvement of its members in the Baudelaire case—a much welcome deviation from the book that gives a wider perspective to the story. Characters and events that were discussed in passing were also given importance in the series, and twists that were later uncovered in the books were established almost immediately, but retaining much of its mystery for the next seasons to explore. Even Lemony Snicket (Patrick Warburton), who still pleases us with his snippets of vocabulary lessons, was clearly presented to be part of the story and not just a mere narrator. Netflix’s “Unfortunate Events” is expounded in ways that the books will never enlighten us—and that’s undoubtedly the best part. 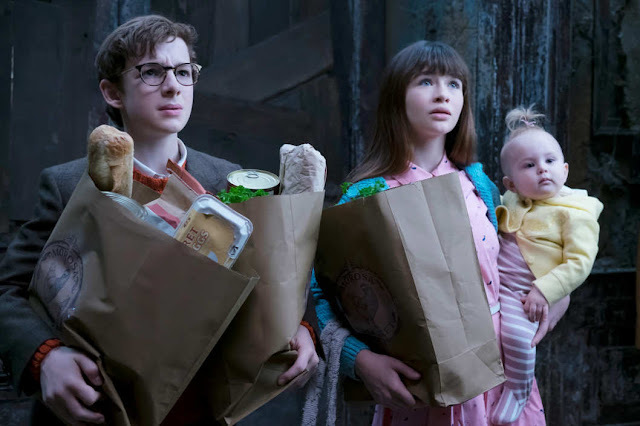 But probably what kept us on the edge of our seats with our eyes on the screen is the imprisoned couple—played by Will Arnett and Cobie Smulders and are credited at the end as Father and Mother, respectively—egging us on to hope (and satisfy fan theories) that the Baudelaires’ parents didn’t actually perish in a terrible fire. Unfortunately, as if following the books’ formula, the spy-like couple’s revelation of identity, snatches the little hope we had for the turnaround of the orphans’ demise. And if we were to be look at the series’ ending like Phil (a Lucky Smells worker introduced in “The Miserable Mill”), with his dark humor and twisted optimism, we might just say that the Baudelaires would find comfort in the seemingly parallel misfortune of the un-introduced Quagmires. And so we wait, patiently, until we join the Baudelaires again in their attempt to flee for their miserable lives, and from it. “A Series of Unfortunate Events” is available for streaming on Netflix.